For over 30 years the Ensil Group of Companies have been involved in research, development, repair, rework, test and inspection of electronic circuit boards, as well as the manufacturing of systems and assemblies. Our fields of expertise include Defense, Aerospace, Medical, Industrial, Telecommunication and Robotics. We are proud of our past innovations and successes; however, our real pride lies in the individuals working at Ensil. Our employees never stop striving toward ever greater technological breakthroughs, innovations and solutions. 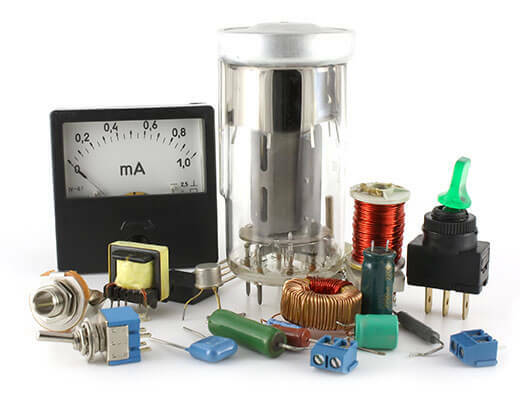 The material on this web site is provided “as is” without any express or implied warranty of any kind including warranties of merchantability, non-infringement of Ensil intellectual property, or fitness for any particular purpose. In no event shall Ensil or its suppliers be liable for any damages whatsoever (including, without limitation, damages for loss of profits, business interruption, loss of information) arising out of the use of or inability to use the materials, even if Ensil has been advised of the possibility of such damages because some jurisdictions prohibit the exclusion or limitation of liability for consequential or incidental damages, the above limitation may not apply to you. Ensil may revise these Terms at any time by updating this posting. You should visit this page from time to time to review the then-current Terms because they are binding on you. Certain provisions of these Terms may be superseded by expressly designated legal notices or terms located on particular pages at this Site. ENSILVER CORPORATION is the registered owner of the trademark Ensil and "Innovation Beyond Imagination" and has a license agreement with Ensil for the use of the trademark Ensil and "Innovation Beyond Imagination". As a company, Ensil seeks to maintain high ethical standards and a culture that values honesty, integrity and transparency in all that we do. Company decisions are driven by what is right for our valued customers. We believe we can achieve most when we work together on practical things that make a difference. ’Every little bit helps’ can become a great deal when everyone pulls in the same direction. We are committed to our employees, to the environment in which we live and to the communities we serve worldwide. Ensil is committed to maintaining the highest standards of integrity, ethical behaviour, and corporate governance. Our Corporate Responsibility Policy publicly declares our commitment to conducting business ethically, legally, and in a manner that is fiscally, environmentally, and socially responsible, while delivering sustainable value and strong financial performance. Ensilver Corporation is the registered trade mark owner of the trademark ENSIL and "Innovation Beyond Imagination" and has a license agreement with Ensil Inc. and Ensil Technical Services Inc. for the use of the trademark ENSIL and "Innovation Beyond Imagination". The trademarks, service marks, trade names, logos and other indications of origin displayed in this Site ("Trademarks") are owned by Ensilver Corporation or a third party who has granted Ensil Inc. or Ensil Technical Services Inc. the right to use these trademarks on this Site, or are being used in compliance of the Fair Use Act and/or the Digital Millennium Copyright Act. Ensil Inc. is registered with the Canadian Controlled Goods Registration Program (CGP). This entitles Ensil to examine, possess or transfer controlled goods in accordance with the Defence Production Act and the Controlled Goods Regulations. This site is controlled by Ensil, our company makes no representation that materials in the site are appropriate or available for use in other locations, and access to them from territories where their content is illegal is prohibited. Ensil may track those visiting www.ensil.com. This information may be stored and saved in an electronic format in order to contact those visitors for the purposes of survey and feedback. The information tracked and or stored might include, name, address, IP address, visited pages, frequency of visits, time spent on each page, and information copied or saved. Ensil has the necessary capabilities to manufacture electronic components and integrate them into next higher assemblies on a build-to-print basis for foreign OEM’s. As a defence contractor, Ensil can offer engineering capabilities for military equipment repair and rework. Ensil's services include circuit board design and production for Land, Air and Sea based Defense Systems. Ensil's staff have extensive knowledge and understandings of the rules and regulations as defined within the Defense Federal Acquisition Regulations (DFAR's). Ensil's Highly secured and protected facilities are compliant with the Canadian Controlled Goods program and ITAR regulatory guidelines. For over 30 years Ensil has never defaulted on any government contract and has never paid any penalties for offset program of tasks and deliverables..
For foreign OEM's, Ensil can offer in-service defense platform and technical support for the expected life of the program along with Fully compliant ISO 9001-2008 Quality Assurance Procedures. Ensil’s embedded and enterprise level software development capabilities are available for electronic manufacturing, validation and system level integration. 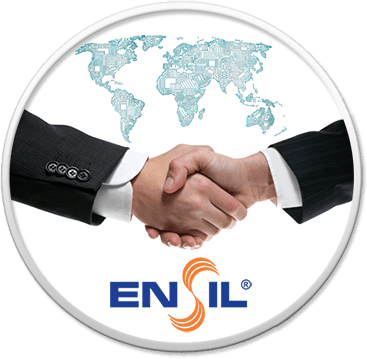 If you are looking for a trusted partner for electronics outsourcing, Ensil can offer you excellent and cost-effective services. For more information please visit our services page. As a contract manufacturer for the U.S. Federal Government, Ensil has CCR Registration and has established track record for risk mitigation analysis.